This giveaway is provided by Grace Hill Media. The upcoming second season of Finding Jesus: Faith, Fact, Forgery premieres on CNN Sunday, March 5. 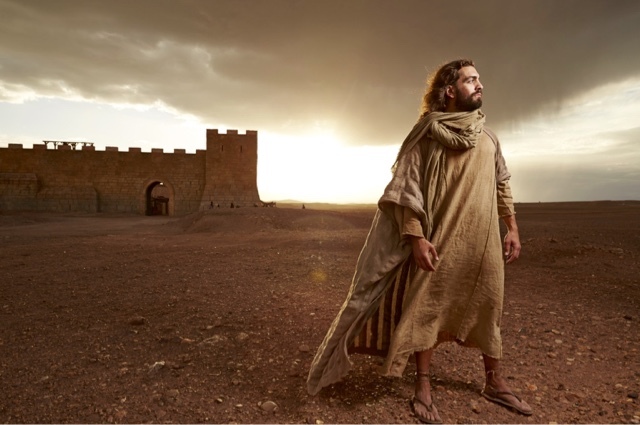 In case you didn’t get an opportunity to check-out the first season of this hit series, Finding Jesus: Faith, Fact Forgery captivated audiences as well-known Pastors, theologians, and archaeologists, examined famous religious artifacts, and brought to life the places, pilgrimage sites, and people from the Bible and ancient world. Giveaway: ·Grace Hill Media has a Lifeway e-gift card for one of my blog readers! The gift card is valued at $25. These are the perfect gift cards for Easter and for anyone wishing for a devotional, books, Bible study or any gift you’d like to help inspire you in your faith journey. For an entry in the giveaway, leave a comment on this blog post answering this question: How do you think the story of doubting Thomas is relevant to our modern day world when facing these kinds of fears? (Be sure you include a valid email address for contact if you win. Winner will be chosen Tuesday March 7th and will have 24 hours to reply to claim gift card. Season 2 of Finding Jesus: Faith, Fact Forgery premieres Sunday, March 5 at 9 PM ET/PT on CNN. Disclosure: Gift cards and feature information provided by Grace Hill Media. No other compensation was provided. The story of Thomas has always encouraged me that God knows about our fears, and while He wants us to trust Him completely, He understands our frail humanity and our sometimes needing more encouragement to trust and follow Him. It reminds me that even though Thomas doubted, Jesus still cared for him and showed Thomas the wounds he asked for as proof. Even though we may doubt at times and let the problems of this world interfere with our faith, God is still a loving God who will come to us. I guess I see Thomas differently. He'd been hurt before, badly. He was grieving. His Savior had died. It wasn't enough to merely SEE Him, but Thomas needed to FEEL that His Savior was alive. My teacher brain goes to types of learners. I don't see Thomas as a visual learner, but a kinesthetic learner - he had to feel/do it to learn it. Sometimes seeing isn't believing - feeling is. We can see the words on the pages of our Bibles, but it's not until we feel the impact of those words on our lives that we truly believe. I know God has included everything (even the boring parts) in the Bible for a reason. I think Thomas' need to *know* Jesus lived shows us that God knows we will have doubts, even fears, ourselves. He understands. And He loves us anyway. I think the story of Thomas is very relevant in our world today. It seems sometimes that the whole world is doubting the validity of Jesus and even the Bible stories. We've probably all read the doubt that Jesus was even who he says he is. The stories about his walk, his behavior. The world even says why are there no miracles today; even though we who are Christians know that there are indeed miracles every day. Doubt is part of every day life in many ways, and we all wish we could always have concrete evidence of anything or any problems we are facing, i.e. will my children grow to a happy adulthood? will my car take me to where I want to go? will I get a pay raise? If there was evidence beforehand of any problem we are facing, there would be no such word as doubt. But, Jesus understands we humans so well that he even introduced Thomas to us so we know that even with all our doubts, we can lean on Jesus, and like Thomas, if needed, he can in some way give us the proof that we need. I think Jesus knows there is a doubting Thomas in everyone.